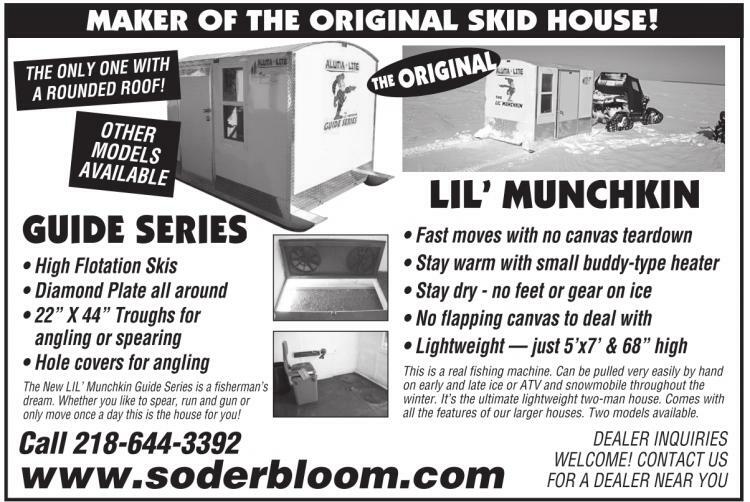 MAKER OF THE ORIGINAL SKID HOUSE! The New LIL’ Munchkin Guide Series is a fisherman’s dream. Whether you like to spear, run and gun or only move once a day this is the house for you! This is a real fishing machine. Can be pulled very easily by hand on early and late ice or ATV and snowmobile throughout the winter. It’s the ultimate lightweight two-man house. Comes with all the features of our larger houses. Two models available. Aluma Lite Docks on Sale! Aluma Lite Roll-In Docks Sale on Now!